Baby, you can drive my car, but you might run into a pothole, specifically one that resembles a certain British music legend. 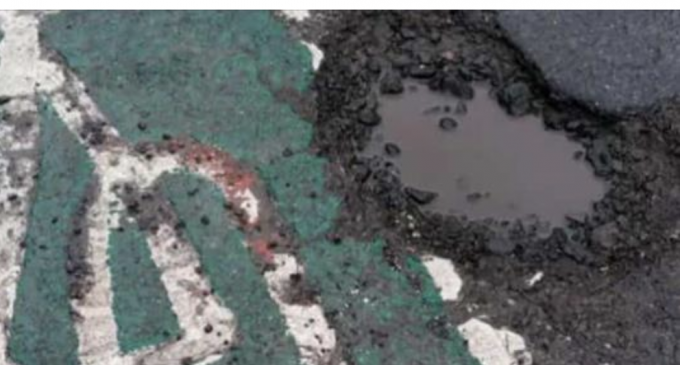 The United Kingdom’s Lancashire Evening Post reports that readers responded to a story it published about potholes in the area with the observation that one of the holes resembles none other than Sir Paul McCartney. See it? Maybe if you squint? Apparently, his mop top is even depicted. Well, if nothing else, it was an opportunity for some clever comments. Many of the commenters on Facebook argued that the pothole more closely resembles Winnie-the-Pooh than McCartney. Apparently, Pooh and McCartney look alike! Not everyone found the comparison funny, and a few people admitted that they were disappointed in themselves for clicking on such a story. “Some people need a hobby,” one commenter mused. The living, breathing McCartney doesn’t have to worry about local potholes, though. He’s already played all the European dates on his “Freshen Up” tour, and he’s set to move on to South America in March before following the, um, long and winding road to the U.S.